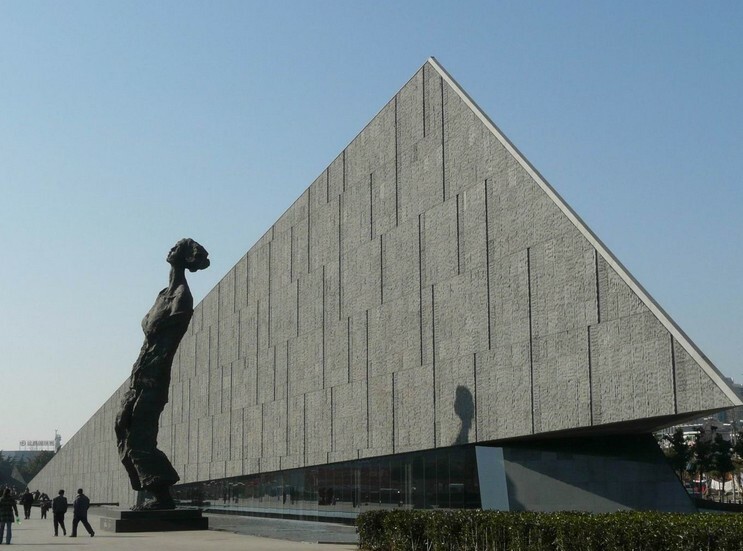 Memorial Hall to the Victims in the Nanjing Massacre is located in the China Nanjing Jiangdongmen street. 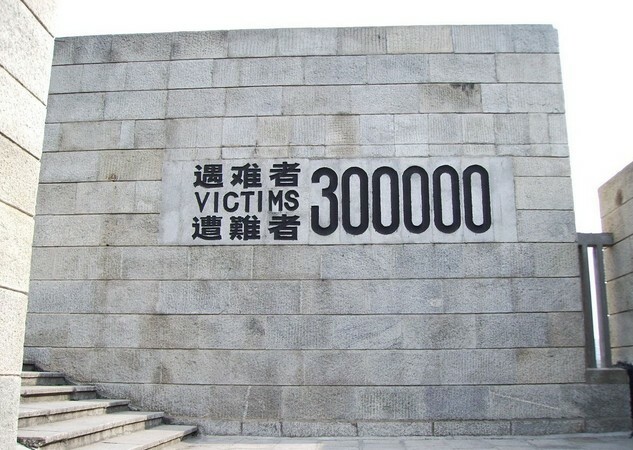 It is the place for the Jiangdongmen massacre sites and the cemetery of the victims during the Nanking Massacre caused by the Japanese forces of aggression against China. 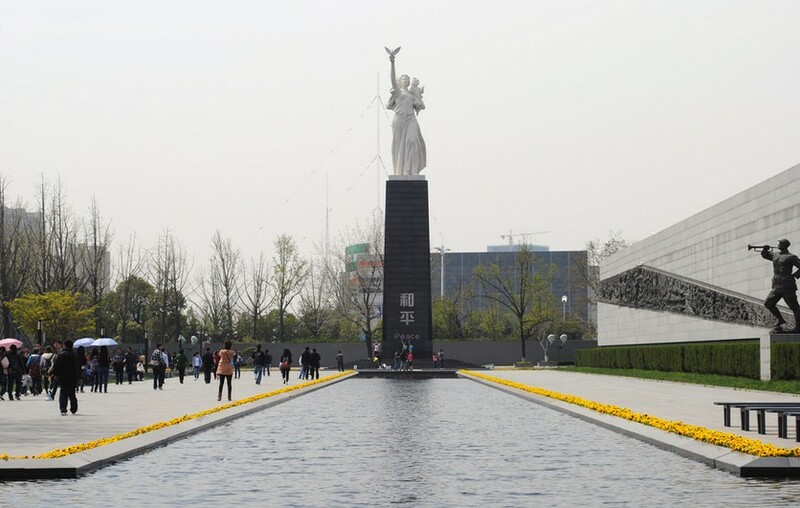 To mourn the victims of the Nanjing Massacre, the Nanjing people’s government built the memorial in 1995 and expanded it in 1995. Covering an area of 30,000 square meters with the building area of 5000 square meters, the building adopts the gray marble to make it grand and solemn, which is a specific history gallery showing the “Nanjing Massacre” catastrophic tragedy in a comprehensive technique combining the historical data, cultural relic, architecture, sculpture, film and television. 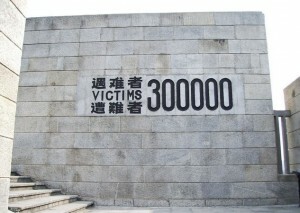 The left side of its gate is engraved the its hall name “The Memorial Hall of the Victims in Nanjing Massacre by Japanese Invaders” written by Dengxiaoping. The display there is divided into three parts:square display, osseous remains display and historical data display. And the square display is made up with three exterior display fields: mourn square, memorial square and graveyard square. The remembrance of the past is the teacher of the future and history is any guide to create the future. Memorial Hall to the Victims in the Nanjing Massacre now is an importance place to pray for international peace and international historical cultural exchange, at the same time it also is “the national patriotism education base” of primary and secondary schools, the national youth education base and the .national patriotism education demonstration base. Travel tips: 1) Opening time: 8:30 a.m. -16:30 p.m. and close on Monday. 2) Ticket price: free. 3) Best time to visit: all the year round. 4) Playing time suggestion: 1-2 hours. 5) Ways to go there: take the No.37 city public bus to the Jiangdong memorial hall door station or take the No.78 city public bus to Yushu village station.